EDIT – January 18, 2018: The missing episodes issue in this post has been resolved. At this time, the only major issue we can find with the Amazon BritBox subscription is that the episodes sometimes appear a few hours later than they do for those with a subscription directly with BritBox.com. Have quality issues streaming from BritBox's app – for example, when I'm in rural Illinois, I get much better streaming from Amazon. I've heard other stories that vary by internet service provider. Since both offer a free trial, I'd encourage you to try both and see which you like best. Who appreciate the convenience of only entering their credit card in one place (Amazon lets you subscribe to both BritBox and Acorn) or having access to an easy “manage your subscriptions” page. Who have an Amazon reward credit card and wish to earn the bonus cash back you get when spending money at Amazon (but note that for Acorn, you can pre-pay a year for $50 when going direct, so that's a larger savings). As we said, the big drawback with going through Amazon is that brand new episodes might take a few extra hours to arrive. There's also the fact that when you buy channels through Amazon, the actual services get a slightly smaller amount for each subscription – so if that bothers you and you don't get much benefit from Amazon vs. direct, consider going direct. As much as I love my BritBox subscription, it seems like there are a few things where they've really dropped the ball since their launch earlier this year. A lot of people have had technical difficulties and billing problems. The interface is a bit wonky and it doesn't make it easy to get back to the next show in a series you're watching. Some people have had trouble finding shows. Tip: This page lists everything on BritBox if you have the patience to keep hitting “See More” at the bottom. All of that's forgivable of a new service, and it does seem like they've been working hard to work the bugs out. Unfortunately, there's one pretty major issue I feel the need to warn people about. 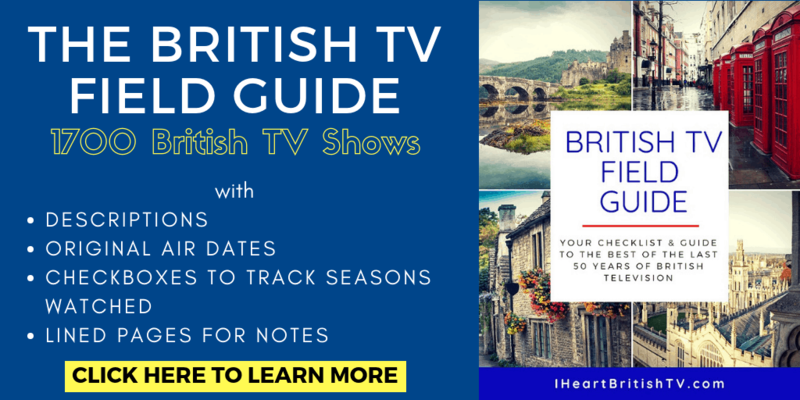 A week or two ago, we announced that BritBox had finally released an Amazon channel where you can subscribe to their service through Amazon and watch on your Fire Stick or Fire TV. This was (and still is) a great thing for those who've had trouble signing up on another device. The only problem? The Amazon subscription is $6.99, just like the direct BritBox.com subscription – but it's missing tons of content. For example, if you wanted to watch Cracker on BritBox on Amazon, you'd find 1 episode randomly missing from Series 3, and Series 4 isn't there, either (Thanks for the heads up, Eileen V!). 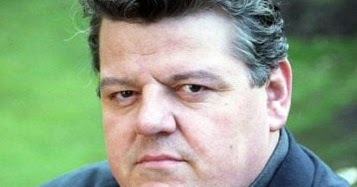 Those episodes ARE available on the main BritBox.com subscription. I've heard from several people now about missing episodes or seasons, which is really disappointing since we had such high hopes for the Amazon alternative. This would all be fine if they included that information on the Amazon sales page, or if they offered a lower subscription rate for the inferior subscription. As of today, that's not the case. While we do think the Amazon BritBox channel is a good thing, and we do think it will improve over time, we don't recommend it for everyone just yet. There's a lot of content there, for sure, but it's just not as good as the direct subscription. So – who should get it? If you CAN get BritBox directly from BritBox, that's definitely the better option right now. We'll keep an eye on the situation and let everyone know if that changes. We still love BritBox and we have faith they'll remedy the situation soon, but we also want to make everyone aware of the potential drawbacks before they spend their hard-earned money. 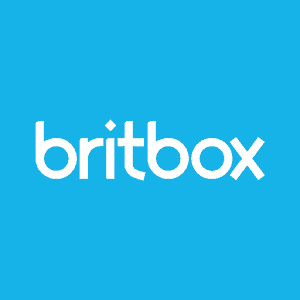 If you have a Roku, Apple TV, iPad, computer, Android device, or Chromecast, you can sign up directly with BritBox HERE. If you wish to sign up for BritBox through Amazon, you can do so HERE. Remember, these are two totally separate subscriptions. If you sign up on their website, you won't be able to watch through Amazon. If you sign up on Amazon, you won't be able to watch on their website (though you CAN add the Amazon channel to your Roku and watch it on Roku that way with the Amazon subscription). If you sign up for both, you'll get two bills. I just wanted to make that extra clear since I know we have a lot of people here who didn't grow up with technology, and it can all get a little overwhelming sometimes! I tried Britbox, the streaming would stutter and not play smoothly or consistently. I don’t have that problem on Amazon. I will be staying with Britbox directly..I also have Acorn, and ROKU.. I enjoy British TV much more than U.S. produced programs… and find that what I cannot find via one system I find via the other… for less than $30 per month I watch what and when I want.. I am an Acorn subscriber and I clicked to watch Acorn channel knowing I had it. I didn’t realize it would double charge me. Buyer beware. I had a very hard time proving to myself that they were double charging me since both Acorns were being charged to different payment methods they never came up together. Cancelled Prime. Staying with Acorn. I might do Britbox also but NOT through Prime or Amazon. I can’t even figure out how to complain about it on Amazon. I have Roku and Amazon Prime. I just signed up with Britbox directly after almost signing up through Amazon. I found it easier to just use the Amazon app and Britbox app separately through Roku. The price for the subscription is the same either way. I was worried that there might be difficulties trying to play Britbox through the Amazon app. Hope this helps! Another problem with Britbox, at least through Amazon, is that there is so little closed captioning. I often have trouble understanding accents so miss so much during these programs, though I do love them! I did purchase through Amazon Prime, so maybe that is the problem. Regardless, I must cancel for now. But will happily try again in a few months or so. I’ve found the CC to be a bit spotty on both (I’ve subscribed to both for testing purposes). I’ve gotten pretty good at understanding the accents over the years, but I still prefer the CC, especially for older shows filmed in the north. The combination of lower quality audio + thicker accents can be pretty brutal. I definitely understand the frustration. Often, I find that the DVD sets have captions on things the streaming services don’t – so that’s always one option if there’s something you really want to see. We were watching BallyK and they skipped the Christmas show, but the following episode had the CC from it. Every episode after that was one or two episodes off through the entire series. The last episode was the missing Christmas show. How do I cancel my britbox subscription on Amazon Prime? I cannot find it listed and I want to cancel on prime before I subscribe directly at britbox.com. I have AmazonPrime & just finished the free trial britbox using firestik, but could only watch recent episodes of Eastenders. I want to watch older ones in the series, too, but although the episode will display, I cannot access it. Will I have the same problem accessing episodes if I subscribe directly to britbox? I have he same question. Some of the old series have many seasons, but you will only get a couple or it will skip seasons, doesn’t matter that it is with Roku with a direct Britbox sign up. Coronation Street has been running for in or around 30 years so that is probably why you can’t get the very early episodes. Agreed, yes! With thousands of episodes, you could make an entire streaming service out of just one soap – and I’m guessing plenty of people would pay to access those archives! My issue is that I have not signed up for Britbox. 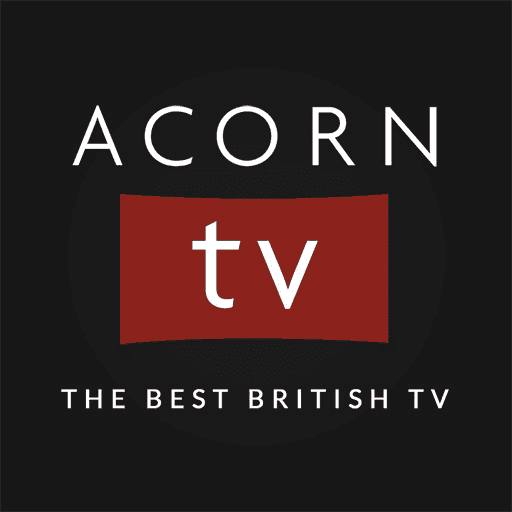 I have Acorn TV through Amazon Prime. When using my Amazon Video app on the phone I get all the Britbox listings as well as Amazon Prime and Acorn. I do not want to wade through Britbox listings to find a video to watch. Also the show I wanted to watch last night although it said it was available to Prime or Acorn subscribers, when I selected it I was asked to subscribe to Britbox. I hate this! This might be a deal breaker for me for Amazon Prime. britbox thru amazon is a great deal. billing is a lot easier, and those who do subscribe thru amazon would be more inclined to keep the subscription. we wanted to watch inspector morse, and prime suspect. prime suspect is NOT yet available thru amazon. i had to get a separate subscription, so instead of 6.99, it is 13.98/mo. not worth it, so i cancelled both. britbox needs to understand that they would get a LOT more subscriptions if their entire service was available thru amazon. Thanks for this information. It explains why I can’t find Young Hyacinth on my Britbox channel on Amazon. Hopefully after Britbox has it for awhile, they’ll release it to Amazon Channels. I maintain the Britbox and Acorn channels for my elderly mother, who hates to watch TV on a screen that’s not a TV. The Britbox channel is the only way I can make this happen in our area. Plus, Amazon is just easier to deal with. I can drive Acorn and Britbox from one interface. Mom will have to make do with what Britbox offers through Amazon. Hi Beverly – Sorry to hear you’re having trouble with your BritBox subscription. If you’ve subscribed through Amazon, I would recommend contacting their customer support – and if you’ve subscribed directly with BritBox, I’d recommend contacting them. Unfortunately, we don’t own either and we can’t offer much in the way of support. AcornTV through Amazon also has less shows/seasons available vs. the stand alone app, or at least it used to. I have Roku and went back to the stand alone app b/c of it. I love the Britbox app. I’ve had no streaming issues, but am grateful of the obvious improvements they continue to make. I wonder when Brit box will ad all seasons. I have checked out most of the shows I am interested in and most are missing seasons, even though they are old shows and some just skip seasons. I am using the trial right now but may cancel. I’ve been an Acorn subscriber pretty much since it started, and I am currently trying Britbox (through Amazon.) First of all, “Vera” used to be an Acorn exclusive, this time the new episode showed up in my Acorn channel, yet you can only stream it by subscribing to Britbox. Not cool! So, I signed up for Britbox, since they have a bunch of series that I love. Or so I thought. Many of the long standing series, like “Waking the dead” that have many seasons, show as having “6 Seasons” for example, but when you actually go and look, there are only 3 seasons available, and for the other 2 season they want you to pay per episode!? Considering that this is a subscription service, and a more expensive one than Acorn at that, having content (older content, like from several years ago) as a pay per episode is really not ok! “Silent Witness” is another example. It’s showing as having Seasons 1-4 available, then Seasons 17-20. Apart from the fact that there are 12 seasons missing in the middle, none of the seasons are actually available through the subscription! All but the latest 4 episodes are “pay per episode”! Then there is also the issue with Seasons supposedly being there (for example Holby City) but when you click on ANY episodes, they are “currently not available.” Again, if you don’t have it, don’t put it there, otherwise it just feels like a bait and switch! Granted, some of that is an Amazon BritBox problem, however, the direct Britbox is also missing many many seasons. To me, the huge appeal of Britbox were the seasons of shows I missed since moving across the pond, or rewatching those old seasons. And Britbox seemed to offer just that – but not really! I don’t think I’ll be subscribing for now and at this point, definitely not through Amazon BritBox. It doesn’t seem to be as good a value as it initially appeared to be and definitely not in comparison to Acorn TV. Lately all I get on most shows is the telly buffering, some shows I can watch and others start off ok then the screen goes black and it goes back to the ROKU start screen.. It was fine when I first started watching this about 6 weeks ago. I have never had a problem with Acorn which I have had almost 2 years. My 2 TVs are not “smart”. I have Roku upstairs & Amazon Firestick downstairs. My question: if I subscribe to Britbox, will I be able to view it on both systems? Does it make a difference if it is Britbox direct or Britbox Amazon? I was happily watching Dalziel & Pascoe last night on Amazon BritBox, and, today, seasons 1-4 are unavailable. Is that true of an actual BritBox subscription? Well, that’s strange, Marc, l watch that show (Dalziel &Pascoe) on Amazon Britbox and all my Seasons are available. Wonder what that’s about? Maybe short term. I’ll try it again tonight. This happens to me, I’ll watch a series then the next day the next season is not there. I can’t get Seasons 5-7 n Amazon-Britbox? And a few other show’s seasons also end up being on “pay per episode” basis, which is a rip-off I believe. One thing that I found using Amazon for Britbox and AcornTV is that certain episodes are missing from a series. For example: Miss Marple with Joan Hickson – you can watch all of Season 1 with no problem, but you get into Season 2? All the sudden the second part of a two part mystery is unavailable. Then you look and the next 4 episodes of season 2 do not have the “included with your BritBox Amazon subscription in green at the bottom. Which means that I am hung out to dry and not able to finish the mystery! Frustrating! Will be switching to Britbox outside of Amazon. Also another thing to watch out for? Amazon charges taxes in my state, so the subscription has taxes applied where there are none going through Britbox or Acorn stand alone. Something to think about! If I use the week trial for Britbox, how hard will it be to cancel if I don’t want it after the week. I don’t like the idea of giving my credit card out and finding it is hard to cancel. Sue, I discovered this service just ten minutes ago but their Help page should answer your questions- https://www.britbox.com/us/help. If you signed up via your iTunes, Google Play or Roku account, go to your account settings to cancel your subscription there. There likely will be a charge every time you use Paypal, because Paypal charges for everything possible. They’re truly awful. If you go through BritBox directly, you go to Account Details, then Subscription, and you’ll be able to click to cancel. Neither one requires talking to a person or anything too challenging. I have a subscription to Britbox not through Amazon. Issue I’m facing is: my Britbox shows come up but can only be watched if ” the customer subscribed to Britbox through Amazon”. Not cool. The result is I’m paying for a subscription I am not able to use and feel pressured to go through Amazon. Not cool. Support at britbox and Amazon have not been able to explain. Any one? Are you using the universal search function on a Roku or smart TV? I believe that sometimes if you search through the home screen of Roku or other devices (rather than directly entering the BritBox app), it will bring up results only from those apps that have opted into that search – which means you might be seeing an Amazon result instead of a BritBox app result. Although we don’t work for BritBox or Amazon and we aren’t affiliated with their support, we’d be happy to help you troubleshoot to our best abilities. Feel free to email a photo of what you’re seeing to stefanie@iheartbritishtv.com. You can also use your phone or tablet to take a video of yourself as you do it, then post that to YouTube and send us the link. That might give us a better idea of what’s going on. As of today July 1 2018 many Classic Doctor Who episodes have disappeared from Britbox on Amazon while they are still avaailable on Britbox alone. I tried asking Amazon tech support why they disappeared and they are clueless. Why have all the classic Doctor Who episodes disappeared from Britbox on amazon prime? Anybody know why? As to your comment: ” I just wanted to make that extra clear since I know we have a lot of people here who didn’t grow up with technology, and it can all get a little overwhelming sometimes!” Allow me to point something out. I’m 65 years old and “your” technology was made possible by “our technology. The technology made possible by our research and development is the bedrock foundation from which your technology grew. Without our research and development the present technology wouldn’t even exist. Please ruminate on that for a bit before makingg such arrogant comments. I was just wondering if Bletchley Circle San Francisco will be offered on Britbox on Amazon? my suspicion is no since it is a new exclusive series but was just curious if anyone had any Advance knowledge? If not I guess I’ll just check Amazon on July 27 and find out. Thanks! I can not log into britbox. Your helper said there is something in the upper right hand corner of my screen but I do not see it. I am 83 years old, a tech idiot but I have paid for this and can’t use it. I am unhappy. 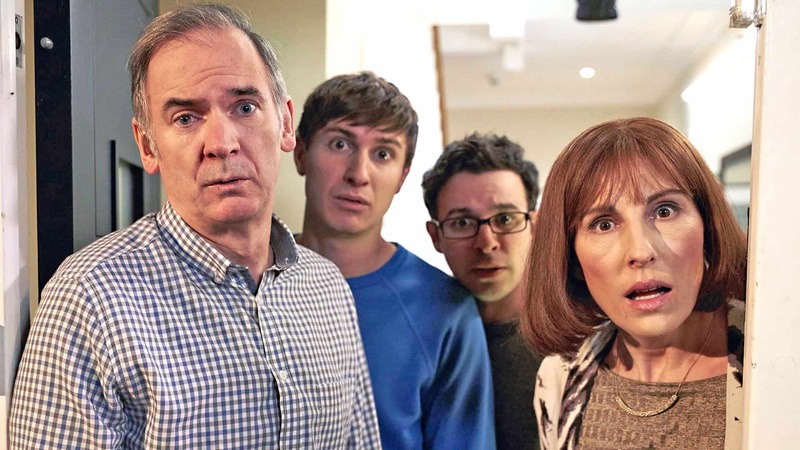 It also appears that series 3 of the brilliant comedy Upstart Crow is only available via the direct Britbox subscription and not the Amazon-controlled Britbox. I am in California, USA, and I think I’m about to install the Britbox iPad app and try it that way… The new series premiered in August 2018, so it’s relatively new (?) and may eventually appear in the Amazon version, but we can’t wait! Thanks for this article. For me, the choice was a force fit. I tried the BritBox direct option only to find that no videos would play on Roku. BritBox was totally unresponsive to my requests for support, (a seemingly typical British response to customer’s complaints) so I cancelled the subscription and now use Amazon. Service seems to be working okay.